If you have ever wondered about the science of pancakes, their history, why they are round or even the formula for the perfect pancake flip then read on! 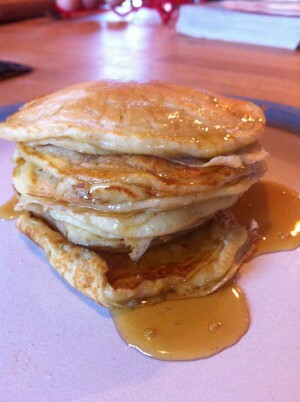 I know that pancakes Tuesday is late this year but it still seems to have come around awfully quickly. In this house the pancake does not just feature once a year but every weekend and with that kind of frequency we have covered a lot of questions about this not so humble food. So if you have ever wondered about the history of the pancake, the science of getting them just right, why they are round or even the formula for the perfect pancake flip (L = 4 H /P- D / 2 if you’re interested) then read on! The main drawback with baking with yeast is that it requires time and who really wants to wait too long for their breakfast? That is why, when using raising agents in pancake mixtures, we substitute the yeast for bread soda and/or baking powder; but who can really tell what the difference is between these two? So what does this have to do with our pancakes? Well, Maillard reactions work best in alkali conditions so bread soda is a definite plus is making golden tasty treats. HOWEVER, add too much bread soda and the pancake will brown too quickly and will have an acrid burnt flavour, not to mention the unpleasant taste produced from the left over breadsoda. It is trickier than we think and yes, of course, someone has already done the science bit for us to work out the ideal amount of bread soda required. I divided my basic batter mix between four bowls and then added different amounts of bread soda to each (the first bowl had no bread soda, the second had half the recommended amount, the third had the recommended amount and the fourth had double what was recommended!). 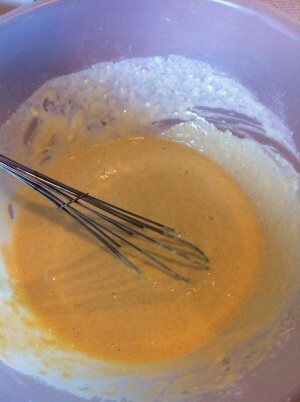 Then I let the batter sit for five minutes before cooking the pancakes. This experiment shows two fun ways of inflating balloons, kids will love it, it’s easy to do and it teaches some kitchen science… like the difference between using yeast and bread soda as raising agents in baking! 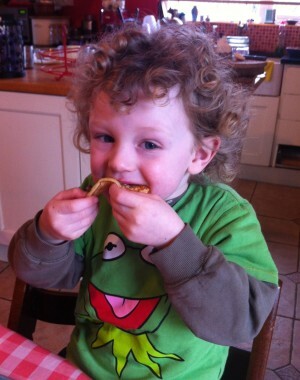 Or you might like to check out these great pancake blogs by fellow Irish Parenting Bloggers…. Amazingly informational post, though created a while ago – still relevant. Never have I learnt so much about pancakes haha. 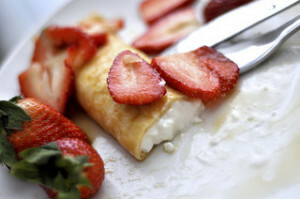 I love a good crepe first thing in the morning. 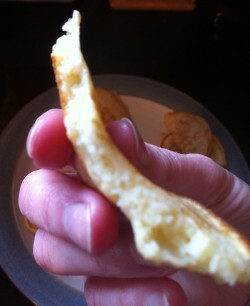 I am going to blind my friends with retrospective knowledge about pancakes in the days ahead. Great post Naomi. I’m sorry I didn’t read it earlier, I’d have enjoyed knowing all this on pancake tuesday. tric recently posted…To you little brother, my forever friend. Totally agree, Naomi: everything in life can be explained the same way…with a chemical reaction! 🙂 Very good post!!!! 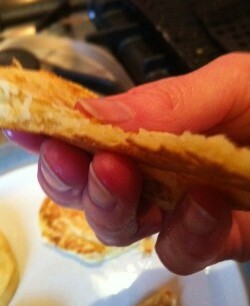 Great post Naomi!Love the fact that someone has worked out a scientific equation for the perfect pancake flip!